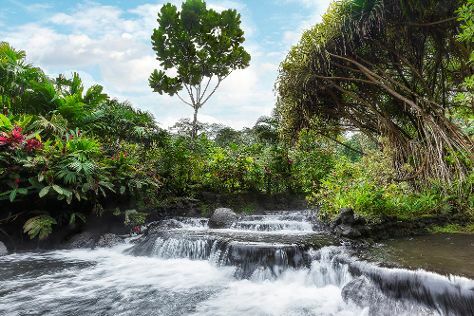 Visiting Arenal Volcano (Volcan Arenal) and Tabacon Hot Springs will get you outdoors. There's lots more to do: let the river carry you with a rafting and tubing tour, view the masterpieces at Galeria Estudio, scramble along the landscape with a canyoning and rapelling tour, and take in the natural beauty of Baldi Hot Springs. 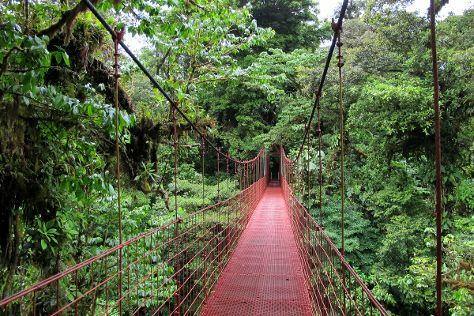 To see traveler tips, reviews, other places to visit, and more tourist information, refer to the La Fortuna de San Carlos day trip planning site . Vancouver, Canada to La Fortuna de San Carlos is an approximately 16.5-hour combination of flight and shuttle. You can also do a combination of flight and bus; or drive. Traveling from Vancouver to La Fortuna de San Carlos, you'll lose 2 hours due to the time zone difference. Finish up your sightseeing early on the 23rd (Sun) so you can go by car to Tortuguero. On the 24th (Mon), identify plant and animal life at Tortuguero National Park. To find where to stay, maps, ratings, and tourist information, use the Tortuguero travel site . You can drive from La Fortuna de San Carlos to Tortuguero in 3.5 hours. Other options are to take a shuttle; or do a combination of bus and taxi. 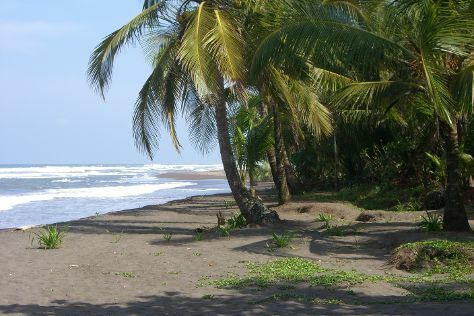 December in Tortuguero sees daily highs of 34°C and lows of 25°C at night. Finish your sightseeing early on the 24th (Mon) to allow enough time to drive to Manuel Antonio. On the 25th (Tue), enjoy the sand and surf at Playa Manuel Antonio and then soothe aching muscles at some of the top local wellness centers. Take the guesswork out of planning a Manuel Antonio vacation by using our trip itinerary maker. Traveling by car from Tortuguero to Manuel Antonio takes 5.5 hours. Alternatively, you can do a combination of taxi and bus; or do a combination of shuttle and bus. Wrap up your sightseeing on the 25th (Tue) early enough to drive to Monteverde. Start off your visit on the 26th (Wed): identify plant and animal life at Monteverde Cloud Forest Biological Reserve. On the 27th (Thu), you'll have a packed day of sightseeing: kick your exploration up a notch at some of the top local zipline courses and adventure parks and then look for all kinds of wild species at Curi Cancha Reserve. To find more things to do, photos, where to stay, and other tourist information, use the Monteverde trip planning app . Traveling by car from Manuel Antonio to Monteverde takes 4 hours. Alternatively, you can do a combination of bus and shuttle; or take a bus. Expect a daytime high around 32°C in December, and nighttime lows around 32°C. 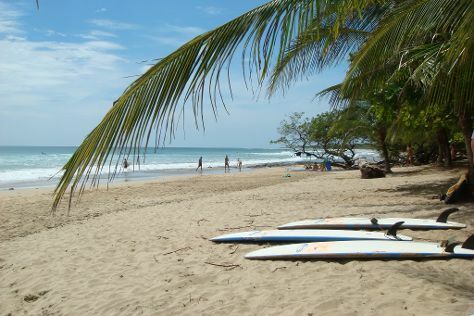 Wrap up your sightseeing on the 27th (Thu) early enough to drive to Tamarindo. On the 28th (Fri), enjoy the sand and surf at Playa Avellana, then stroll through Tamarindo Beach, and then view the masterpieces at Lydia Beech Art Boutique. For maps, photos, reviews, and tourist information, you can read our Tamarindo trip site . Traveling by car from Monteverde to Tamarindo takes 3.5 hours. Alternatively, you can take a bus; or take a shuttle. Expect a daytime high around 32°C in December, and nighttime lows around 32°C. You will leave for home on the 29th (Sat).